We are pleased to have Deborah Schwartzkopf for a solo exhibition as the Red Lodge Clay Center celebrates its 10th year anniversary. Deborah has been represented by the Red Lodge Clay Center for a number of years and it is our honor to feature her artwork in the only solo exhibition of the year. She combines wheel-thrown pieces with slab-built elements to create artworks that are complex utilitarian forms. Soft planes are contrasted with animated lines that become geometric, dramatic, and sensual. 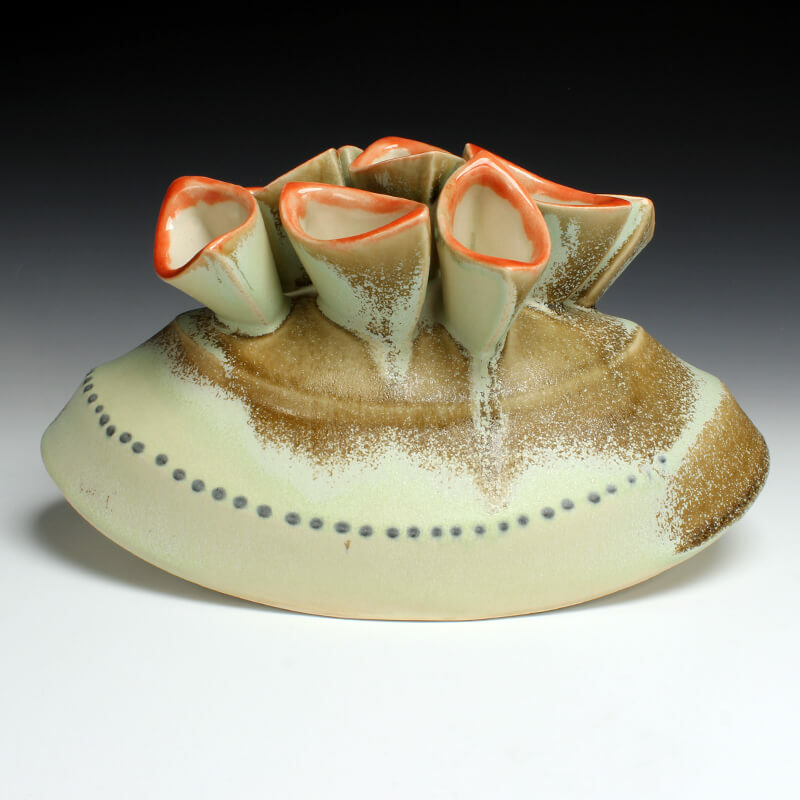 Deborah’s attention to detail is evident not only in her forms, but also in the application of her glazing process. The hard geometric lines become soft by Deborah’s use of satin glazes with glossy accents. The placement and design of the accent dots emphasize the lines of the forms but also create secondary contours that provide additional focal points. With lines moving in every direction and all around the piece, the viewer’s eye has now place to stop to rest. This is what makes the artwork of Deborah Schwartzkopf dynamic, energetic, and complex.